The Ultra Game Boy features an aluminum case and a handy backlit LCD display. 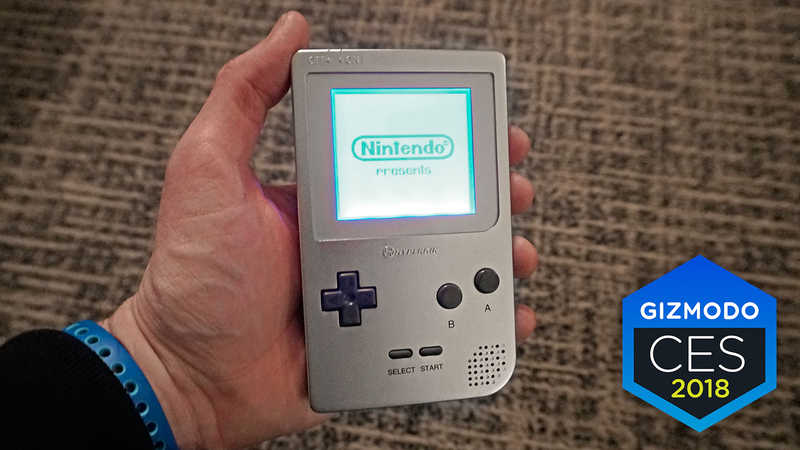 At CES 2018, peripherals manufacturer Hyperkin announced plans to release a new-ish version of the Nintendo Game Boy. The device, currently dubbed the “Ultra Game Boy,” is currently still in development with a projected release date of sometime later this year. The device aims to improve upon the original Game Boy, all while retaining the same nostalgic feel. The Ultra Game Boy features a heavy, aluminum housing, original style volume and contrast dials, as well as a handy backlit LCD display (no need for the original Game Boy noodle light). Additionally, the Ultra Game Boy will come with a third dial that gives you the ability to adjust the backlit display across the entire RGB spectrum. Other features that are new to the Ultra Game Boy include a built-in, rechargeable battery with an estimate life of up to 6 hours, a USB-C port for charging, and a pair of stereo speakers. Unlike the NES and SNES Classic, the Ultra Game Boy won’t come with preloaded games, though it is capable of playing all of your classic Game Boy cartridges. Hyperkin aims to release the Ultra Game Boy later this summer at a price point of under $100. In the meantime, what are your thoughts on the new and improved Game Boy? Do you plan on buying one when it’s released? Let us know your thoughts down in the comments below!